Deal with Poverty or Go to Mars? Side note: India’s other pioneering low cost endeavors – World’s cheapest car; World’s cheapest tablet and cheapest house. But, this successful launch came with a throng of detractors, ridiculing India for not using these $73 Million to deal with poverty (or “clean feces off its roads”). Clearly, they did not think it through before making such comments. A nation’s economy is a huge and complex thing. 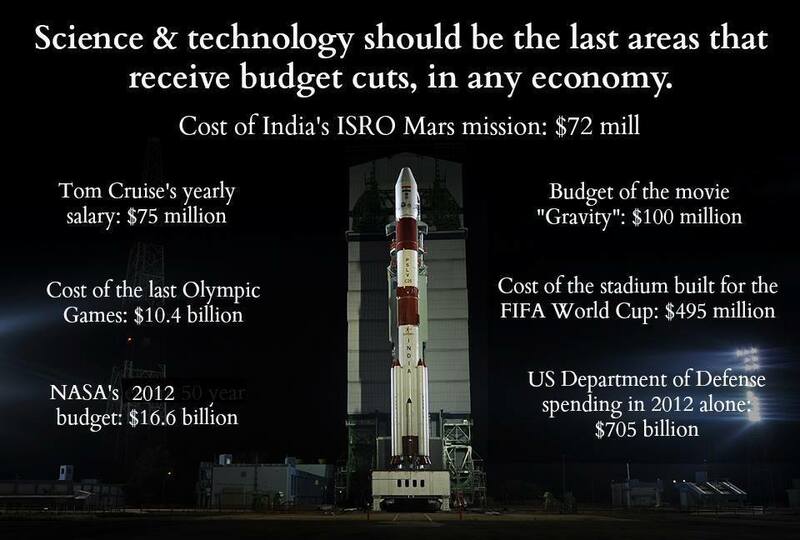 Things aren’t as simple as, stop space exploration funds and divert them to tackle poverty. A number of things run in parallel. Also, every nation has its own set of problems and they don’t stop spending billions of dollars for technological advancement to focus only on social or economic issues. And, I’m sure that the government India is also taking enough steps to tackle its national issues with a firm footing on advancement of technological avenues like space exploration. Space exploration has led to development of many things that you use daily. There wouldn’t have been any computers, wrist watches, Velcro, cell phones, GPS navigators etc, if funds were never allocated to the “wasteful” space research. Without this, there is a chance that you wouldn’t have heard of solar energy, cryogenics or even robotics. Also, several improvements in health care, energy and the environment are a result of research done for space exploration. [10 NASA inventions you use everyday]. When you think of all this, $73 Million seems like an extremely small number. Remember, that this is also helping other businesses (vendors etc) flourish, which in turn are creating jobs for the poor and spurring innovation. Thirdly, The Indian Space Research Organization is a unique organization which has managed to stay the world’s most profitable space organization and has sustained on a minuscule budget of about $1 Billion. It relies on the Indian low-cost mantra to develop innovative technologies. As a result, this intelligent government venture has helped to create a profitable environment for space research. Hence, it isn’t a “wasteful” allocation of funds. Additionally, with its engineers living off a small salary ($20,000) as compared to American engineers ($100,000), we can definitely place our trust on an organization like ISRO – Like previous missions, they’ll make much more than $23 Million from this mission too. In other words, they’ll bring money in, not let it float out (better option for dealing with poverty, than just distributing it among the poor). 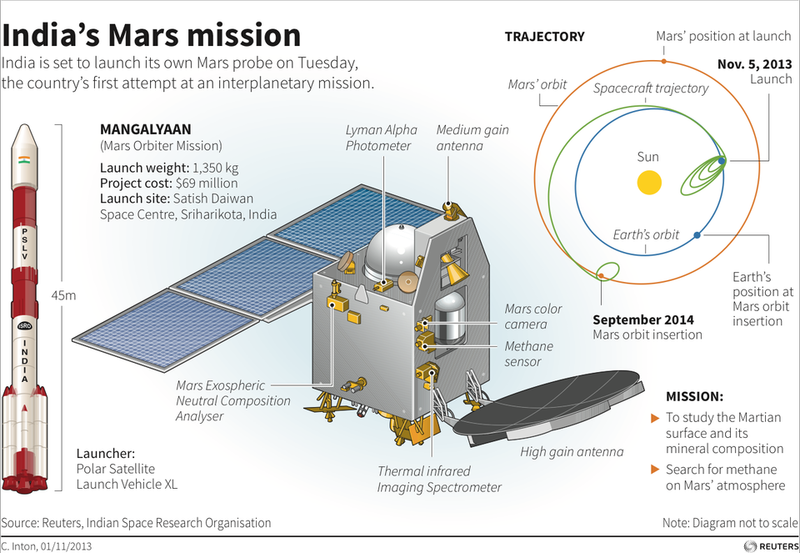 That said, 21 out of 51 missions to Mars have failed and it means that there is still a long way for this absurdly low-cost Indian mission [also a risky one] to be a completely successful one. So far, it is doing pretty good. We can only wait and see, what the end will be like.